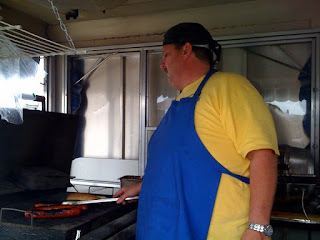 I hung out with some buddies of mine this past Friday and went to the driving range. I forget the name of it but it was in Quincy and it was really nice - on top of a cliff of some sort - had a great view of the city. 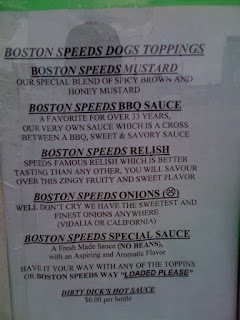 On the way back into Boston, we swung by Speed's for one of their famous hot dogs. I'd read a lot about it, but it was my first time having one. 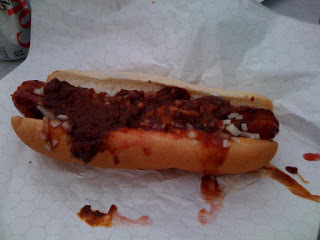 Biggest hot dog I've ever had. I got mine loaded, and while I do think it was quite tasty, it was a bit too sweet for my taste. 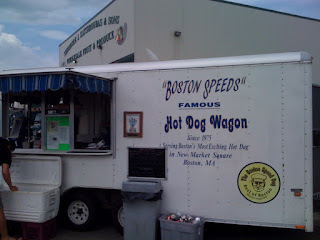 1 Response to "1000 Words - Speed's Hot Dogs"